We are in the final countdown to my absolute favorite holiday of the year. I love Thanksgiving. Like so much. One of the worst things about living in the UK is not getting to celebrate this holiday in all it’s glory. Tracking down a turkey in November is surprisingly challenging and some of the staples like pumpkin puree and cranberry sauce aren’t front and center on each shelf in the market. We’ve hosted a full Thanksgiving meal each year for the past four years that we’ve been here, but it’s not quite the same. Roasting a turkey on a work night? Kind of a bummer. Starting dinner at 7pm when everyone gets off work? A little inconvenient. And having to wake up for work the next day? Absolutely brutal. But I don’t let any of those obstacles slow me down. A complete dinner is in the works and we will be celebrating in full force, work night or not. To add even more excitement to my Thanksgiving countdown, my Mom just arrived to London today. I’m playing hooky from work for a day next week so we can act like tourists. On our agenda is the V&A museum (because look at this cafe) and visiting the winter market at the South Bank Centre. I’ve also signed her up to watch Henry so Jordan and I can sneak out for a date night or two. Since childcare has been our biggest expense this year, we’re going to take full advantage of having a free babysitter for a few days. It started with a desk. A couple of years ago I wanted a new desk. I’d just started my freelance work and decided it was time to “get professional” and have a Pinterest worthy set-up. Fast-forward a few months and a few thousand dollars and I’d just experienced the Diderot Effect. This is why it makes you buy things you don’t need – and how to stop. 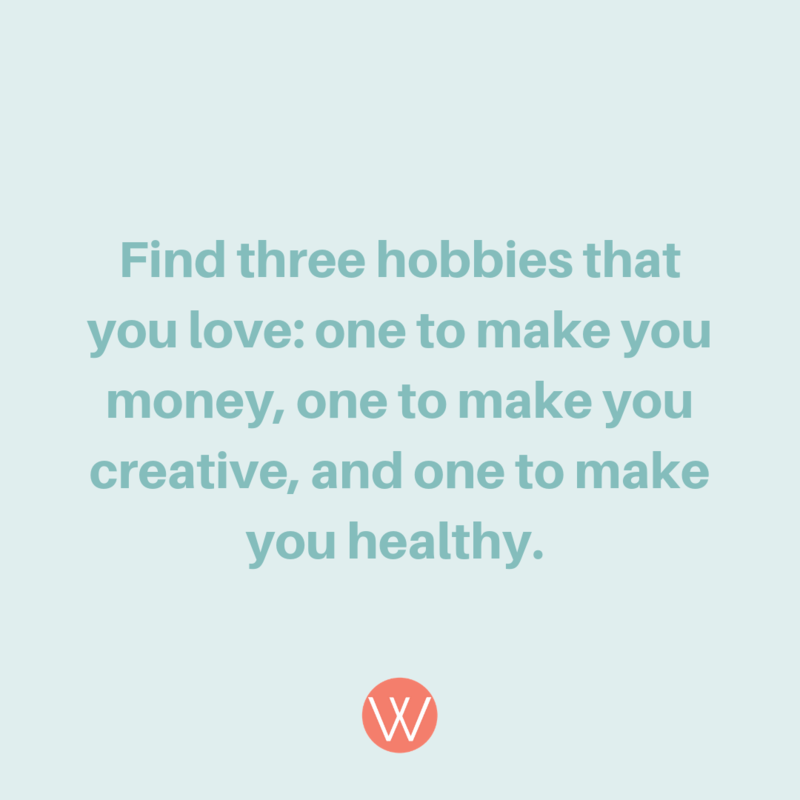 Find three hobbies that you love: one to make you money, one to make you creative, and one to make you healthy. This is my hobby that makes me money. Last weekend I indulged in my hobby that makes me healthy. Still on the hunt for that creative one. These hobbies are one part of how I’ve changed my spending habits. Here’s what I’ve done to change it all. I don’t have a problem — you have a problem. Jordan and I sometimes dream about what it would be like to live in a tiny home. Not just any time home, a sleek, concrete tiny home. But what would we do with all of our stuff we don’t want to part with? We’re not the only people who struggle with that problem. Self-storage is a $38 billion per year industry. That’s billion, with a B. Why? “Because once they’re in, nobody likes to spend all day moving their stuff out of storage. As much as they can afford it, and feel psychologically that they can afford it, they’ll leave their stuff in there forever.” I don’t know why but I was so fascinated by this article and the profile of storage units: people who use them, people who try to cancel them, and what happens during their self-storage life. This is good weekend coffee reading. Broke habits. I’m all about creating good, simple habits in my life, but I’m fully aware that I have some terrible habits as well. Like hitting snooze, letting clothes pile up on the trunk at the foot of my bed, and #3 from this list. I like to color within the lines. Are you in a hobby rut? I really believe that hobbies can influence how you spend money, and mostly in a good way. Since I’m on the hunt for new ones, I took this quiz to help me find a creative hobby. It suggested I go buy myself an adult coloring book, so that’s exactly what I’m going to do. Sleep deprived? Jordan and I spent the majority of this year thinking about sleep and how to teach our new little baby to get some needed shut-eye. Now it’s time for me to get my sleep back on track. This article breaks down the science of how to sleep better. (Un)surprisingly, a lot of the things we did to get a baby to learn how to sleep, we need to do for ourselves. I’ll be setting myself an alarm for bedtime and doing a bedtime routine for myself tonight.